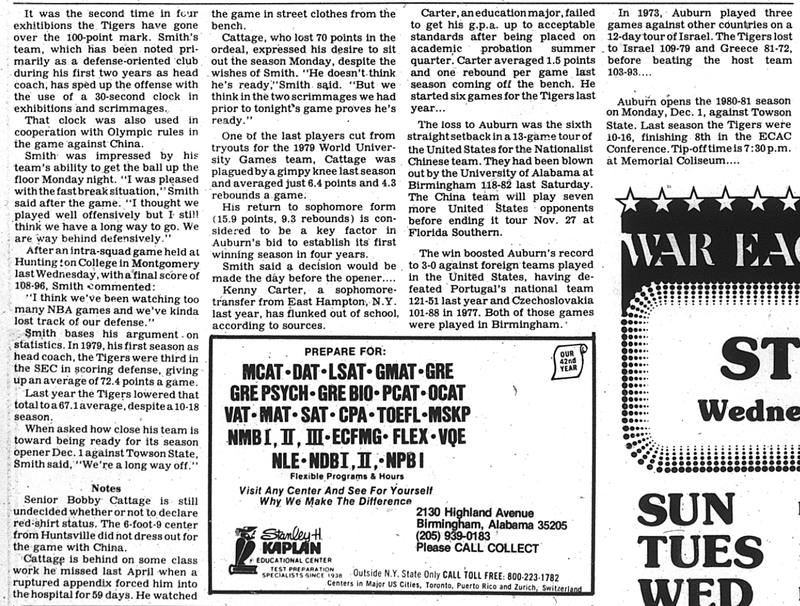 Click / enlarge if you want to read about that time in 1980 that Auburn destroyed the Republic of China National Team in an exhibition basketball game in front of a “noisy crowd of 2,100 at Memorial Coliseum.” Sounds intense. 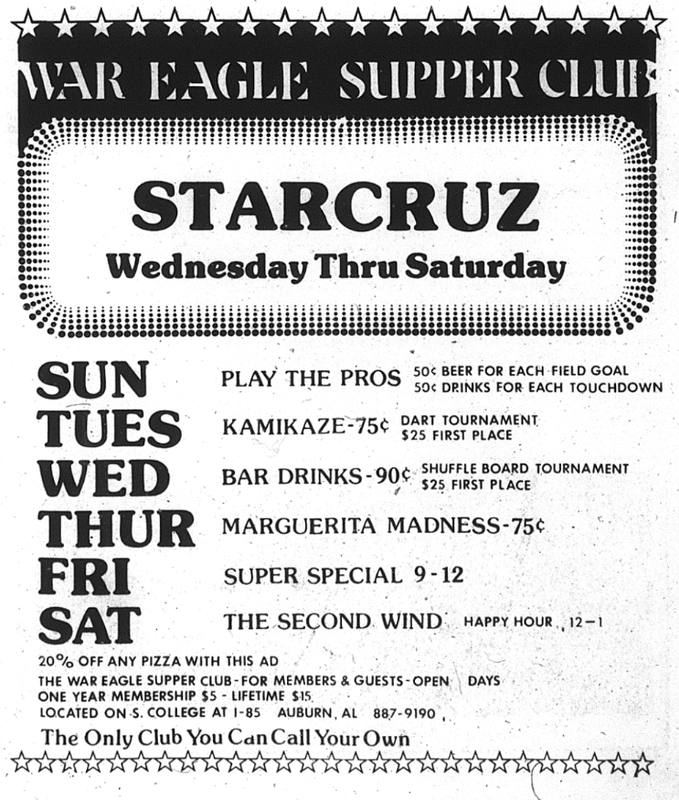 War Eagle Supper Club ad for Starcruz included for extra authentic 1980-ness. Credit: Nov. 11, 1980 issue of the Auburn Plainsman. Related: Auburn fans in the 70s rolled cops. Hey guys, the Republic of China is actually Taiwan. Still cool though! Mike has a point. The Republic of China was not “China” at the time, but rather Taiwan. The US formally recognized the People’s Republic of China as “China” in 1979. 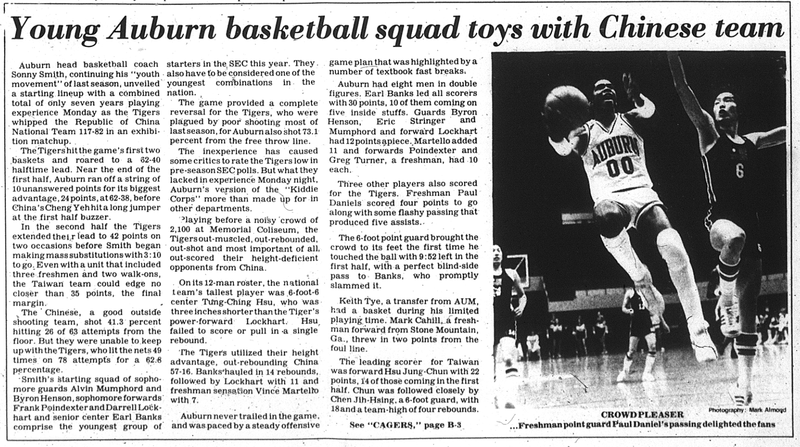 Furthermore, the Plainsman article also mentions the team was from Taiwan. It might call the players Chinese, but that’s not incorrect, as the players were likely ethnically Han Chinese. For a moment, I did a double take — I didn’t realize this was a historic article, and I said to myself, there is NO way Auburn basketball could beat China. We couldn’t even beat Mississippi State.